Fortis is known for its progressive approach to watchmaking, for its technical achievements and for its host of mission-oriented instruments for cosmonauts, pilots and everyday adventurers. 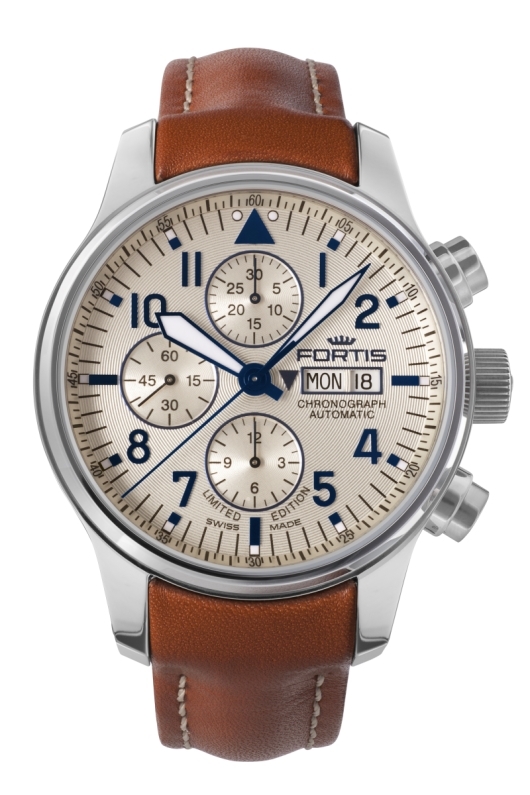 The Fortis Aviatis collection is a series of purpose-built pilots’ watches with plenty of all-around polish. Among them is the F-43 Recon, a favorite with aviation professionals. Two watches make up the F-43 Recon series: the first is a big day and date version (700.20.92) and the second is a day and date chronograph (701.20.92). Both share a number of physical attributes beginning with a 43 mm stainless steel case and a large fluted crown, which is easy to operate when making changes on the fly. The sapphire crystal on the front has an anti-reflective coating on both sides and the exhibition caseback provides a view of the Swiss mechanical automatic movement. Each case features an outstanding water resistance rating of 660 feet. Similarities between the two styles extend to the dial, too, including the silver coloring and fluted concentric rings. 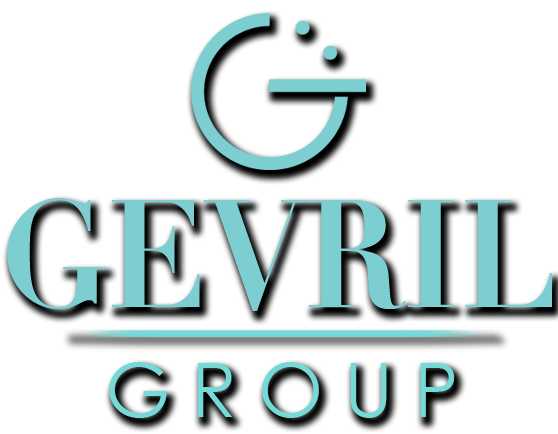 All of the numbers, hour markers and hands are blue, which contrasts well overtop the light silver. Subsidiary text appears in thin black all-caps. The large sword-shape hands are coated with Super-LumiNova as are the hour markers, offering excellent visibility in various light conditions. A traditional pilot’s orientation triangle appears at 12 o’clock recalling classic pilot watches of the past. Both F-43 Recon watches are limited editions of 2012 pieces per watch, and both come mounted on a tan calfskin leather strap. The differences boil down to complications – chronograph versus non-chronograph. The F-43 Recon chronograph is powered by an ETA 7750 automatic movement and, as such, features the day and date in small apertures placed side by side at 3 o’clock. 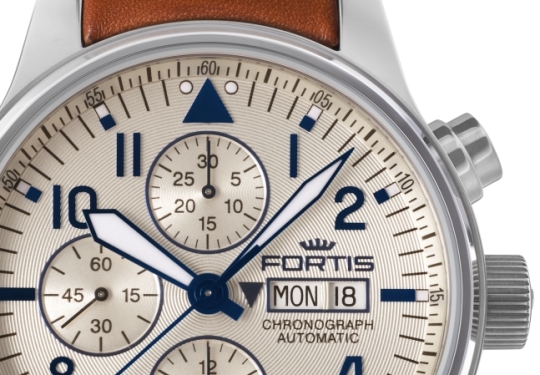 The chronograph sub-dials measure elapsed minutes (up to 60) and hours (up to 12). Even with the additional readouts, the time is easy to read thanks to the large hands. A tachymeter scale appears on the flange. The non-chronograph version offers exceptional legibility with its big day, big date and uncluttered dial, and has useful 24 hour markings at each hour index that provide quick reference to military time. 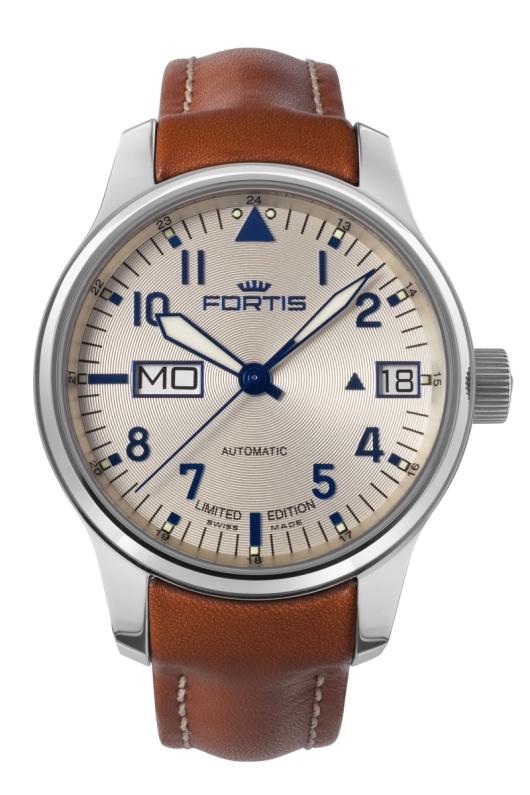 Many Fortis watches are dedicated to aviation and space professionals, but Fortis understands that the human desire to push boundaries extends to every field and every expedition, not just to the pioneers of flight. Add an F-43 Recon to your collection today and begin your ascent. 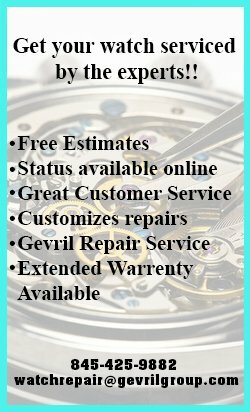 Contact an authorized Fortis dealer today for more information.